If you came along to our stand at Subcon this week you will have seen our vision racer and had the opportunity to try your hand at completing the fastest lap in our McLaren F1 car on the Silverstone track. Congratulations go to Nick Cook, sales Co ordinator at Titan in St Neots, Cambs, with a record breaking time of 1:35:924. 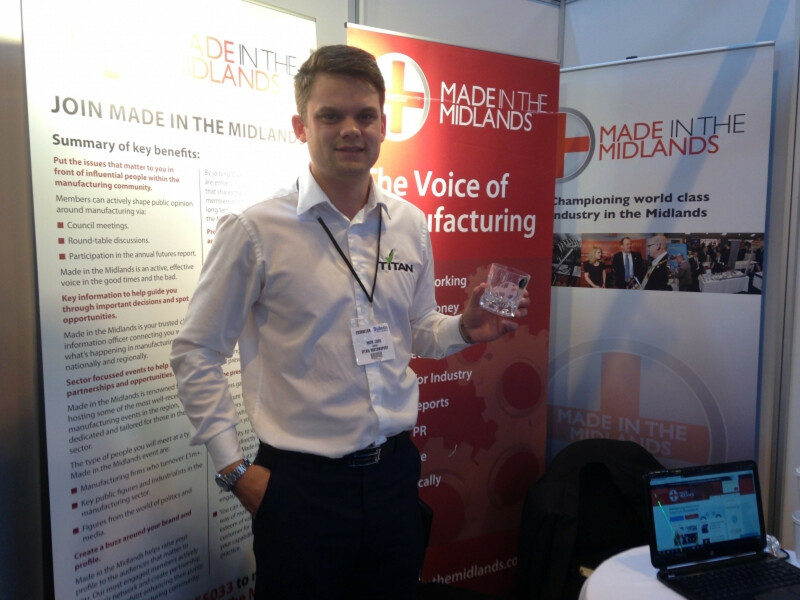 Our top prize, a limited edition Made in the Midlands cut glass whiskey tumbler, was presented to Nick this afternoon. Thanks to everyone that visited our team during the 3 day Subcon show - we had a fantastic few days and it was great to catch up with some of our existing members, as well as meeting a number of new contacts. Don't forget, throughout the World Cup we are having an open house policy and extend an invite to you to come and join us. So if you fancy watching a 5pm kick-off game during the week Monday - Thursday, well have it on our brand new 60 smart TV. No need to book, just drop in, well be here. We look forward to seeing you.